Sweepstakes Operators Plead Guilty to Illegal Gambling Operation - South Carolina Federal Criminal Defense Lawyers | Strom Law Firm, L.L.C. A South Carolina-based sweepstakes ring run by a father and son team, which sold sweepstakes machines to over 600 internet cafes across the country, has been busted by federal authorities, and the operators have pleaded guilty to illegal gambling charges. Bobby G. Moseley, from Townville, SC, and his son-in-law, J. Michael Caldwell of Williamston, SC, pleaded guilty to federal charges related to the illegal gambling operation, which spanned states including North Carolina, New York, Texas, California, Florida, Illinois, Ohio, Alabama and at least six other states. Moseley faced one federal charge of operating an illegal gambling business, while Caldwell pleaded guilty to one charge of accessory after the fact, because he transported the illegal gambling machines across state lines. Moseley ran a company called Frontier Software Systems – the company itself was charged with money laundering and conspiracy, and Moseley pleaded guilty to those charges as the business owner. Moseley ran, funded, managed, and supervised selling illegal gambling systems from South Carolina to businesses in other states. He ran businesses under several different names to skirt detection. Agents for the IRS and the US Secret Service estimate that Moseley’s business took in $242 million in revenue last year. The gambling money was used by both Moseley and Caldwell for personal expenses such as a Maserati, lakefront property, and personal airplanes. As part of their plea agreement, Moseley and Caldwell will forfeit $20 million, and cease the illegal gambling operation in South Carolina. Sweepstakes machines were recently outlawed under illegal gambling laws in South Carolina, and the machines are also illegal in North Carolina, although both states have problems with illegal gambling operations. South Carolina began cracking down on wide-spread video gambling operations in 1999, when lawmakers passed a bill that defined all video poker and some sweepstakes devices as illegal gambling machines. For a few years, gambling operations disappeared. However, some operators found a loophole in the law, which allowed for a boom in sweepstakes machines. Sweepstakes machines sell small items, like phone cards, which in itself is not gambling. However, when a customer purchases an item from a sweepstakes machine, they also have a chance to win prizes at the machine. Legally, sweepstakes machines fell into a grey area – police could raid establishments that operated sweepstakes machines, but a county judge would have to formally decide whether or not the machines fell within video poker laws and were therefore illegal gambling devices. More often than not, judges would agree with law enforcement, but occasionally there were disputes. 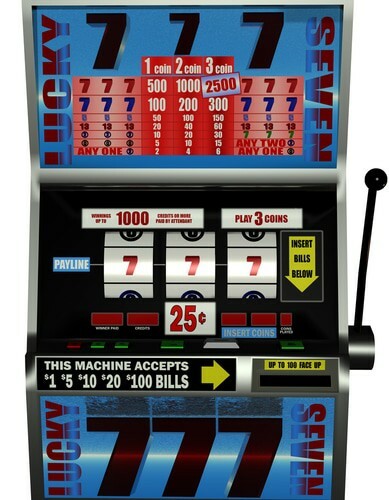 The new law specifically states that sweepstakes machines are illegal video gambling devices. Proponents of the bill say that clearing up the legislation will help save communities that are hurt by illegal gambling. They claim that, before the legislation that outlawed video gambling, owners of the machines paid lobbyists, which corrupted local governments and law enforcement.